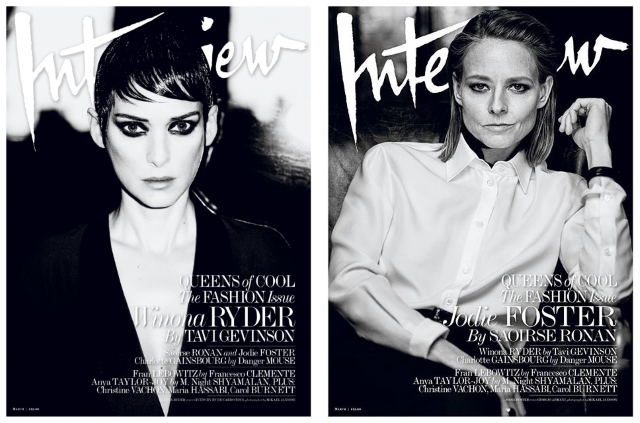 Interview is sure feeling the raw, gritty, black and white cover photos so far in 2016. While ultimately failing to impress with its Owen Wilson cover last month, the magazine revisits the same concept for March with winning results. Winona Ryder, Jodie Foster, Charlotte Gainsbourg and Saoirse Ronan appear in a series of striking covers captured by Mikael Jansson. The moment the covers began to trickle out, our forum members were in absolute awe. “Winona! Goodness, this looks lovely, and what a surprise. Somebody fresh. I’d never have guessed Mikael shot this. Wonder what she’s got to promote. Dead keen to see the rest of the covers, and it will be challenging to choose only one because I adore all these women,” enthused Benn98. “Great Winona cover and Jodie is really owning that shot,” commended honeycombchild. “Interview really loves Winona, yeah? I’m not complaining though, she’s stunning and photographs well. Love the cover and the ed,” chimed in mistress_f. “Whoa here for Jodie, I feel like the Winona cover is even more airbrushed than her last one, which was so badly done! But all of the eds are fantastic!” shared Miss Dalloway. “These all look fantastic. Jodie’s beauty is incredibly underrated,” pointed out t-rex. “Jodie looks so badass. And I love that they didn’t Photoshop her skin. The other ladies look amazing as well. Interview once again putting the other magazines to shame,” applauded Marc10. 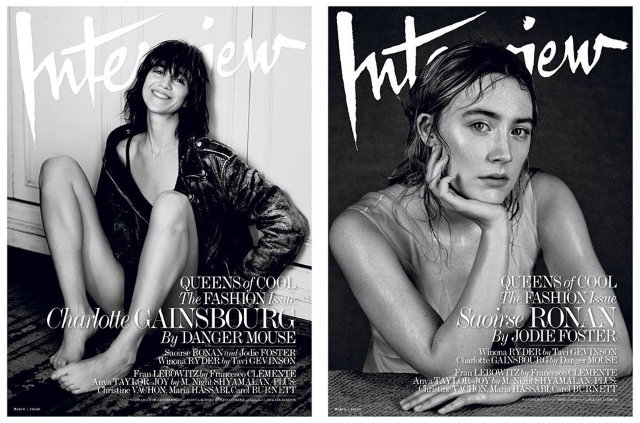 Show your appreciation toward Interview‘s March covers, check out the contents and add your own two cents here.